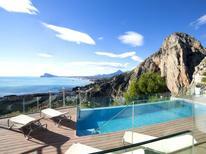 Apartment for up to six people in Calpe, right by the beach. Costa Blanca | Off to the beach! And also take the shortest route. 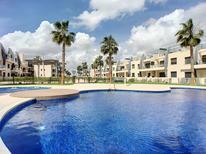 With these holiday apartments and houses you are no further than 100 metres from the beaches of Costa Blanca. 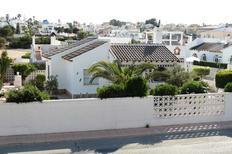 Beautiful villa for four people in a quiet sunny location on the Costa Blanca with a sea view. ​Costa Blanca | Here we'll show you the accommodation at the Costa Blanca, which has received the best reviews from our customers. Jávea | Along an elongated bay on the Costa Blanca is Jávea – or Xàbia as the inhabitants call it. For many holidaymakers, it’s the ideal place for a bathing holiday under the Spanish sun. ​Moraira | Moraira, on the Costa Blanca, is a real tip for holiday home vacationers. The place has retained a lot of originality and has been selected by you as the best Spanish holiday resort 2014. Apartment for six people in the heart of Barcelona. ​Barcelona | Sagrada Familia, Museu Picasso and not forgetting the blue shimmering Mediterranean. Nowhere else are culture and the beach close next to each other than in the Catalan capital. Extensively-equipped cave apartment for up to six people in Andalusia. ​Spain | Whether it’s castles, caves, stately mansion houses or former windmills – if you’re searching for extraordinary holiday homes, you’ll find them here. ​Madrid | Discover Spain’s midpoint around the Puerta del Sol and the Palacio Real with a city apartment in the heart of the royal capital. Stylishly furnished apartment for four people in Barcelona. ​Spain | It doesn’t always have to be the usual interior furnishings. Let yourself be surprised by the extraordinary. Here you will find holiday homes with a certain something. Costa Blanca | Vamos a la playa! Spain | That’s a holiday home? A holiday house at the Costa Blanca costs on average USD 795 in the cheap travel period and USD 1,706 in the peak season per week. These details are of course in relation to the house and not per person as well as includes the obligatory additional charges. Costa Blanca is characterised by seaside towns along the Mediterranean coast and Spanish villages in the rolling hills behind. Many visitors enjoy a relaxing vacation in a holiday home along the Costa Blanca where they can take a break and explore the Mediterranean coast and villages. Costa Blanca is a popular destination for people looking to enjoy holiday house in a quiet village holiday or spend time along the Mediterranean coastline. It is easy to find, book and rent holiday houses at the Costa Blanca. In a valley at the northern end of the Costa Blanca are the charming villages of Denia and Javea. Travelling along the Costa Blanca visitors can find many more lovely Spanish villages where visitors can relax at holiday rentals and take a break from the bustle of life. Many have excellent paths for walking or bike riding through the hills and historic sites which are easy day trips from holiday rentals. Visitors should be sure to try some of the fine dining and wine some villages are known for, or just cook in the kitchen of the holiday homes. Villajoyosa is particularity well known for excellent food and chocolate. There are many holiday apartments along the Mediterranean coast and Valencia that have easy access to the beach and sea. Visitors can spend a day relaxing on the beach working on their tan or swimming in the sea before returning to the holiday apartments for an evening with family or friends. There are both small seaside villages and larger towns along the coast in the Costa Blanca, so visitors can find holiday homes that have access to whichever part of the Costa Blanca they are most interested in.